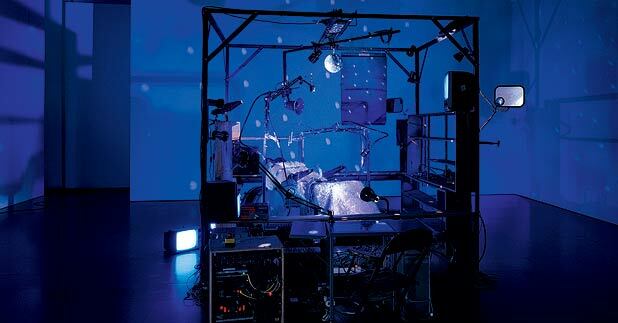 Six different, self-contained installation pieces by hugely acclaimed Canadian artist partnership Janet Cardiff and George Bures Miller, which run a series of gamuts, taking in culture both high and popular, film, multimedia robotics and motion-triggered sound works. Of particular interest are the pieces ‘Opera for a Small Room’, a sound collage performance using 2000 records, and the sinister ‘Killing Machine’ (pictured), inspired by Kafka’s In the Penal Colony. Fruitmarket Gallery, 225 2383, until 28 Sep, free.